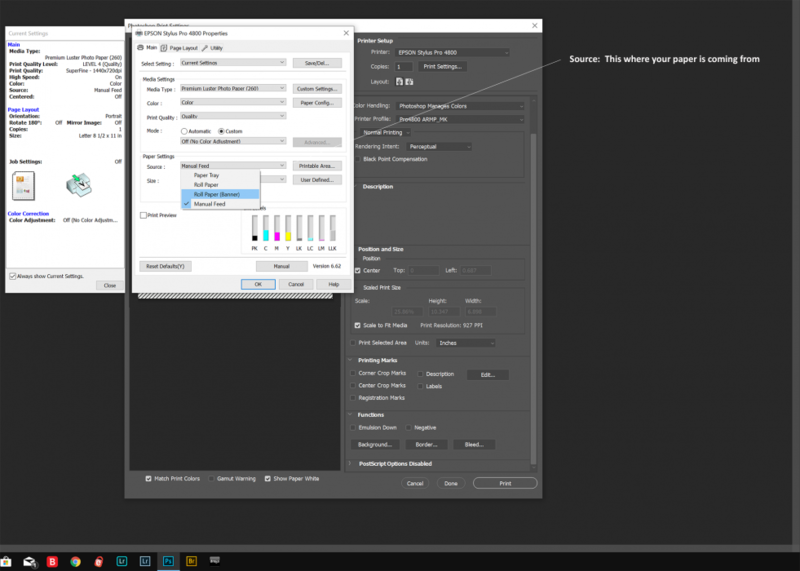 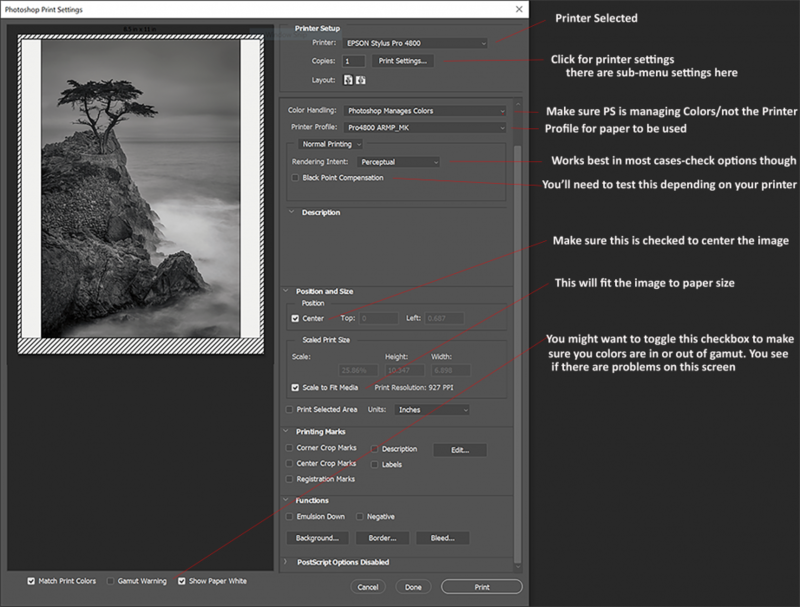 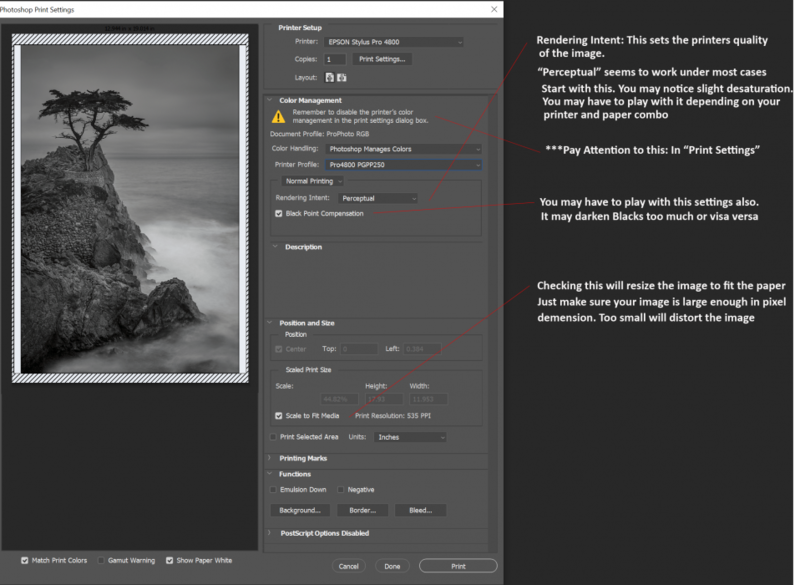 First things first…make sure your Photoshop “Color” settings are correct. 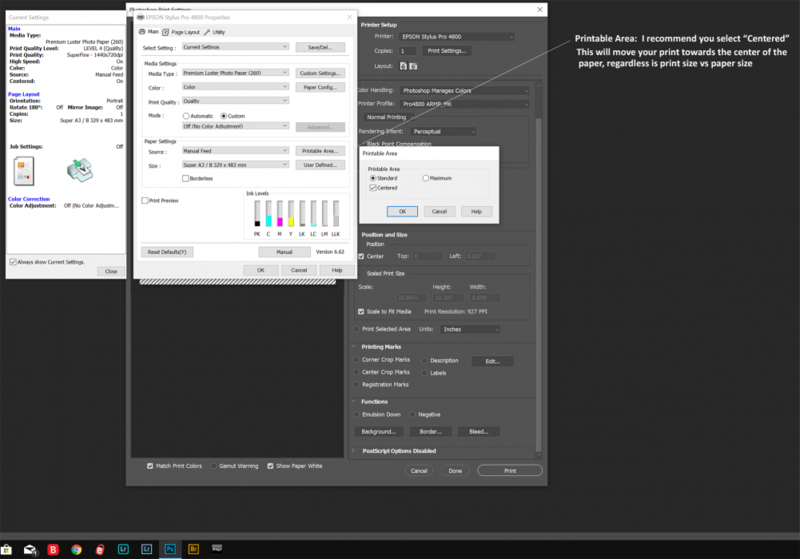 Go to “Edit” scroll to the bottom and select “Color Settings”. 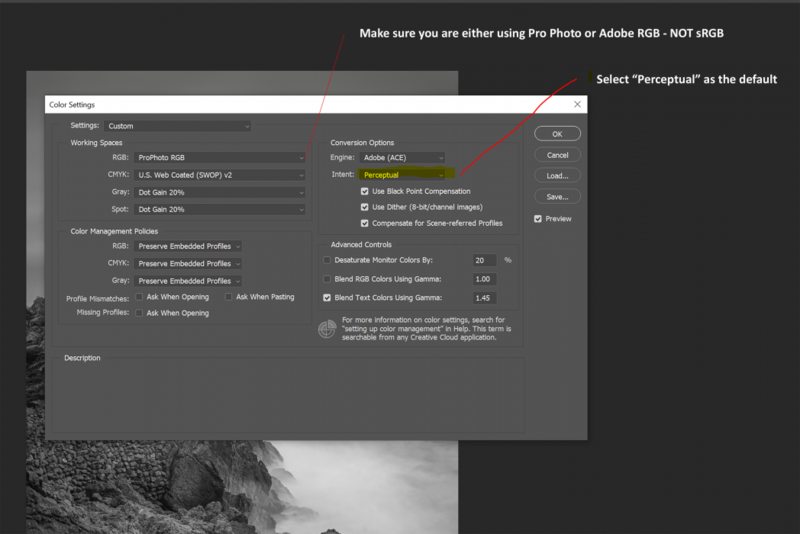 Under “Working Spaces” select either “Adobe RGB 1998” or “ProPhoto” I suggest ProPhoto as it has the largest color space for the finest gradients. 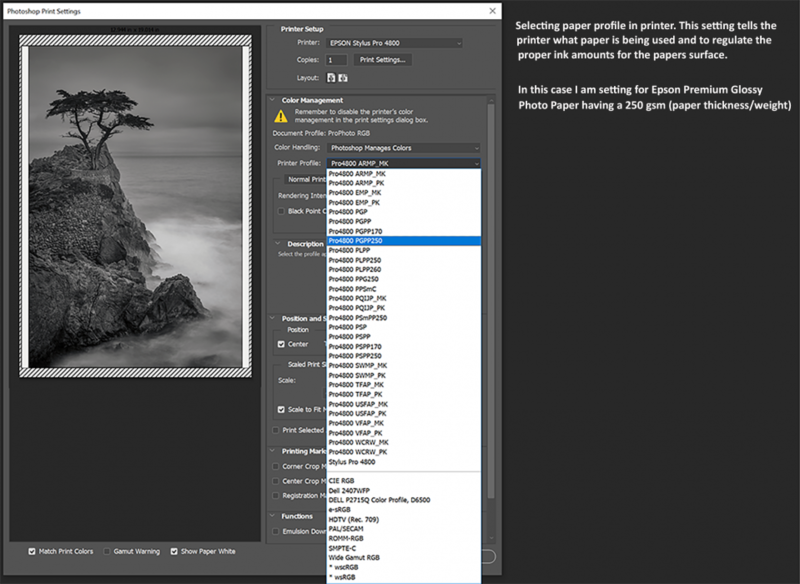 Now we’ll select Paper Source in the Printer’s dialog box. 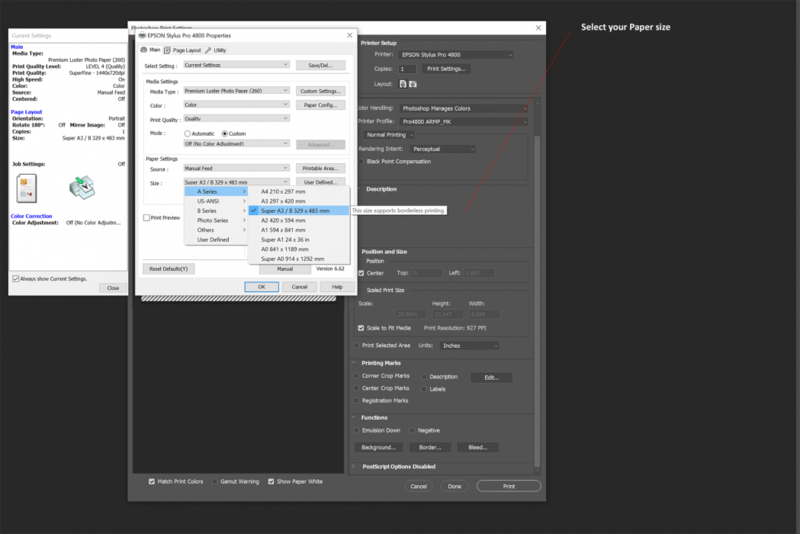 Click the words “Print Settings…” in the dark menu below Printer selection.